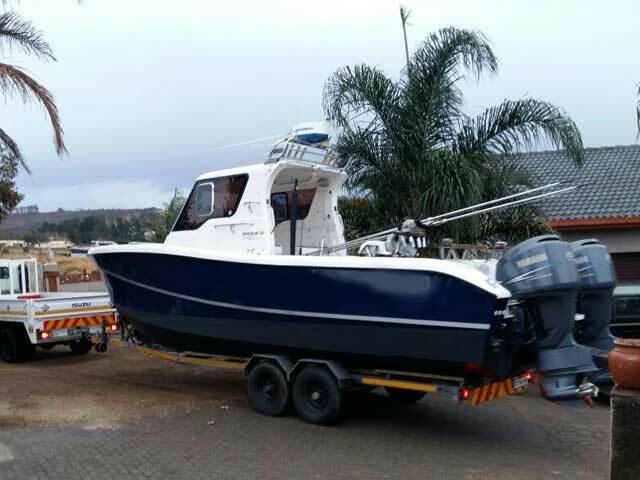 2 x 250hp Yamaha 4-stroke motors (commercial model), 1000 engine hours as at October 2017, 400L petrol storage in 2 aluminium tanks, 2 x 100amp Delco batteries, remote fuel gauges, engine bikini covers. 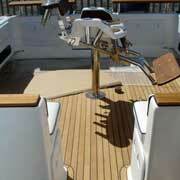 Hydraulic steering from cabin, Simrad AP24 autopilot. 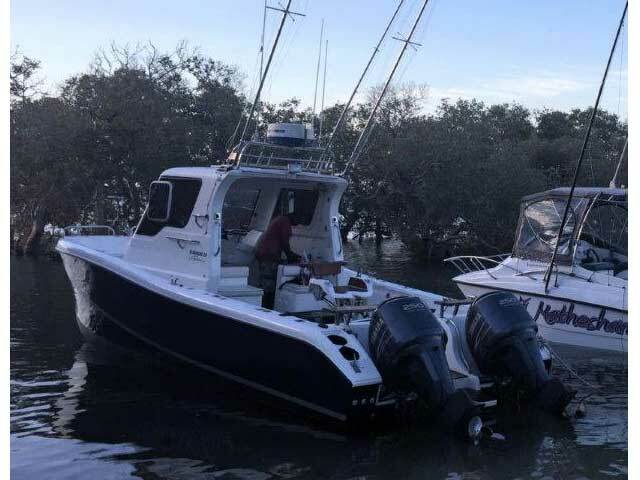 Icom VHF, Furuno 4kW Radar, 10 inch Furuno Navnet GPS chart plotter, Furuno 1150 Fish finder with 2 x 1Kw transducers, bulkhead compass, music system. 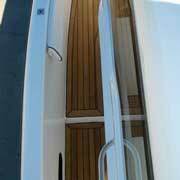 Port access door to storage for tog bags, kit and cooler boxes, starboard access door to shelving. 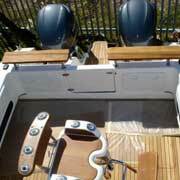 4 Bilge pumps - 2 manual and 2 electric, 2 electric drain pumps. 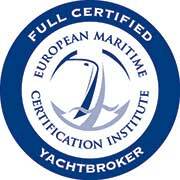 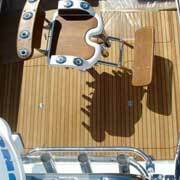 Anchor, chain and warp, 8 life jackets, life ring, 3 fire extinguishers, first-aid-kit. 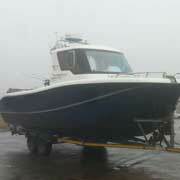 Galvanised double axle trailer (registered), set of outriggers including spreaders, 2 large deck hatches, bench seat for crew, custom Teak fighting chair with table, aft cabin cover, windscreen cover, deck-wash pump, custom stainless steel radar arch with 6 rod holders, 6 gunwale mounted holders, 2 trolling bars, 3 horizontal rod holders, anchor bollard, heavy duty deck cleats and 2 heavy duty transom eyes, all manuals including wiring diagram. 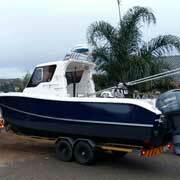 The Magnum 28 built by Two Oceans Marine is a well proven design and build for the heavy cape weather. 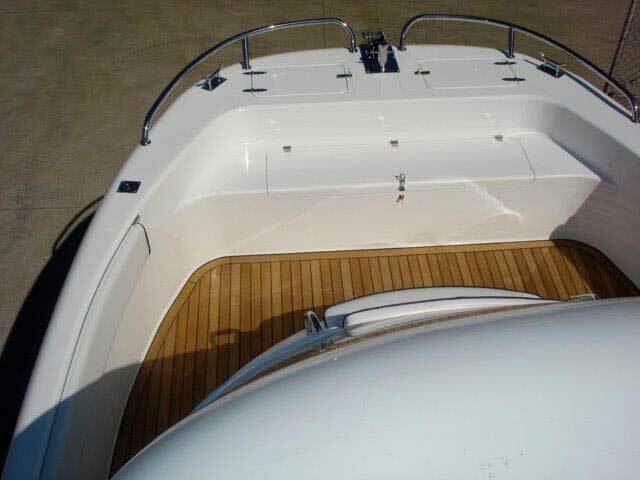 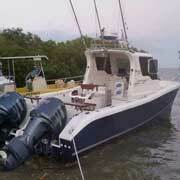 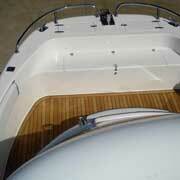 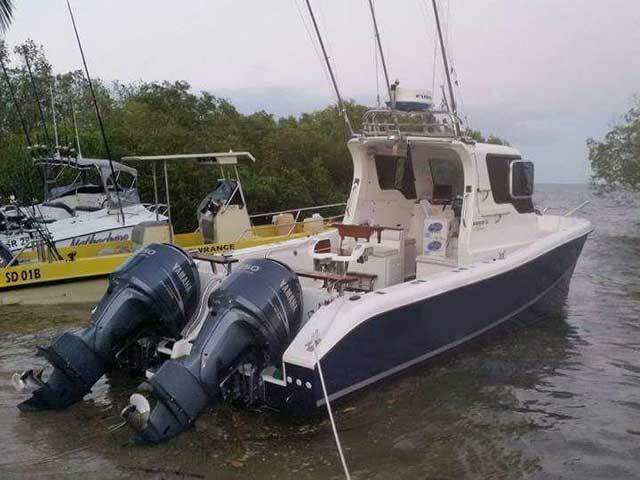 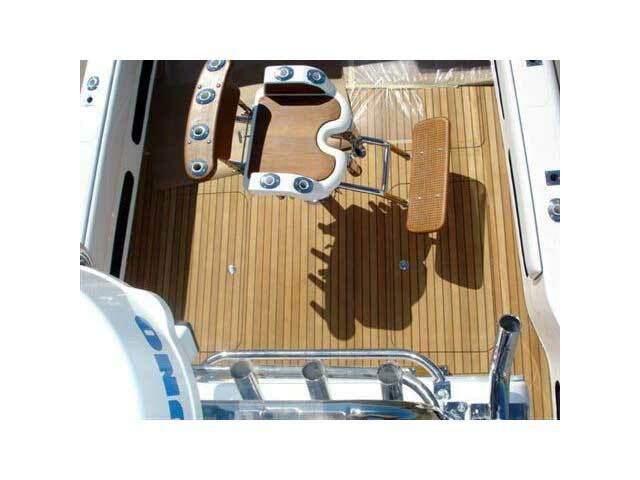 This Magnum 28 was built as a show vessel for potential clients which was then sold to the current owner. 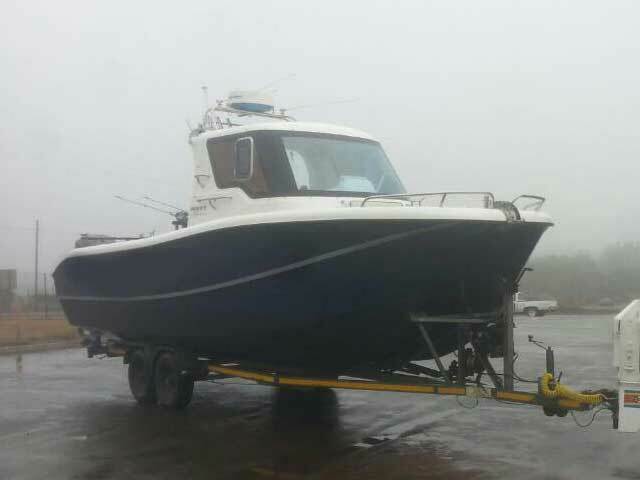 She has lots of factory fitted extras and has spent the majority of her life dry stored on her trailer and in a shed when not in use. 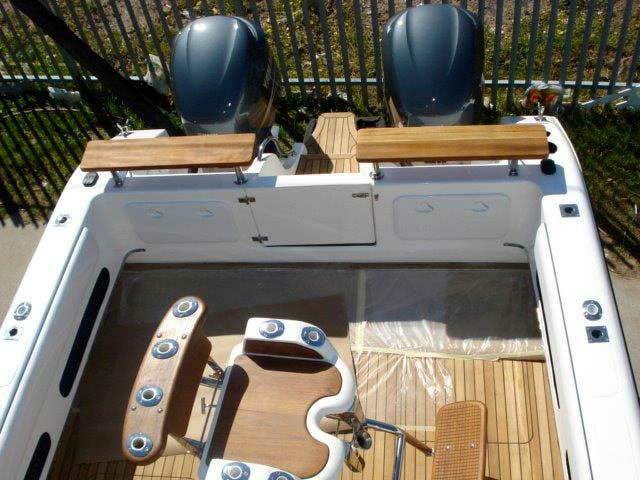 In superb condition and well maintained. 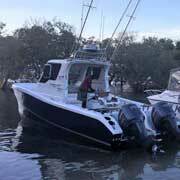 Built for the serious sport fisherman but at the same time offers the comfort and seaworthiness for social enjoyment. 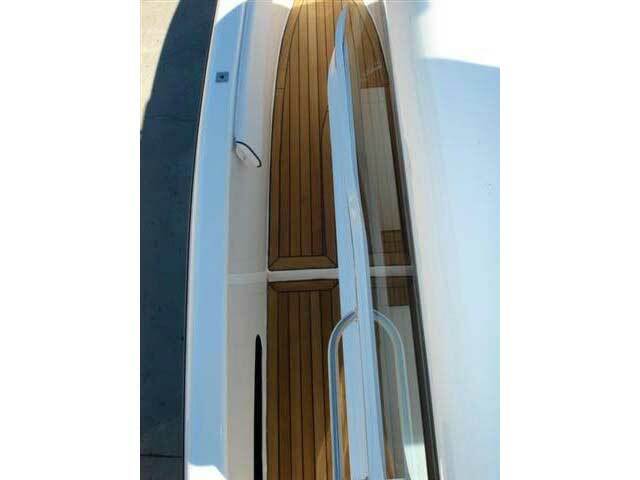 The catamaran hull offers great stability and a dry soft ride. 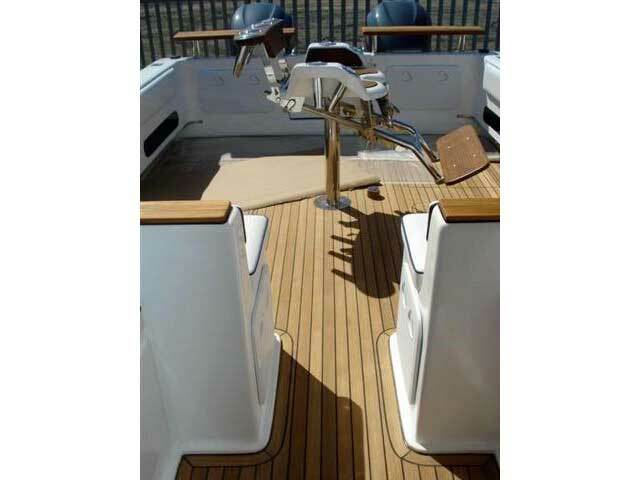 This particular Mangum has the walk-around cabin version.